I wasn't planning on posting about any of the things I made for Thanksgiving, but everytime I eat some of this Cranberry Salsa that was leftover, I think about how good it is and how I should really share it. The picture is from a few days after I made it, so you can't see the intense green of the cilantro and jalapeno, but the flavor is still there. This salsa was so delicious on turkey and I have been eating it on almost anything since then. It is good with pita chips, on crackers with cheese, with fresh cut-up veggies, on salad greens, sandwiches, etc. It is so good. It has a nice spicy bite, thanks to the jalapenos, but it isn't too strong. Just the way I like it. 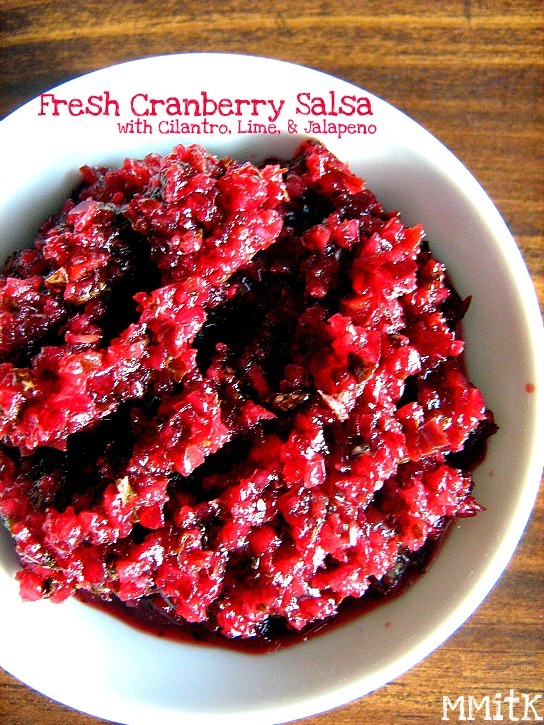 Plus, right now there are still lots of fresh cranberries available and this would be a great dish to share at any holiday dinner, get-together, or for an ordinary day. I still had some sweet potato puree left in my fridge and decided to try out these beautiful cookie bars I saw on Pinterest. Mine are not quite as delicately cut, but here they are none the less. This is a basic cookie batter and then sweet potato puree is folded in at the end. I only made 1/2 of the recipe and it still made quite a bit. My daughter declared that they are delicious and the rest are headed to work with my husband. 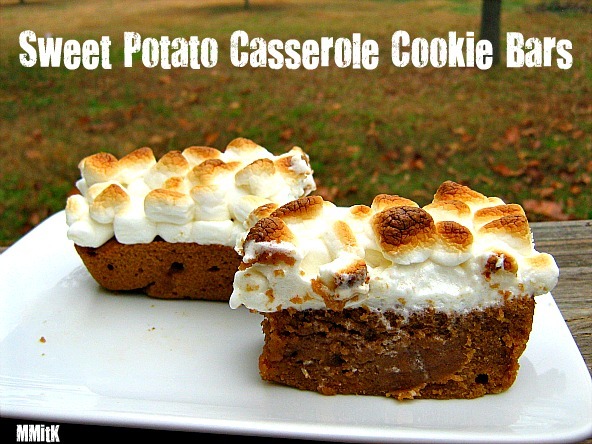 These would be a great addition to any Thanksgiving dinner or fall outing. Have a great Thanksgiving! I hope you get to share it with your family and friends! 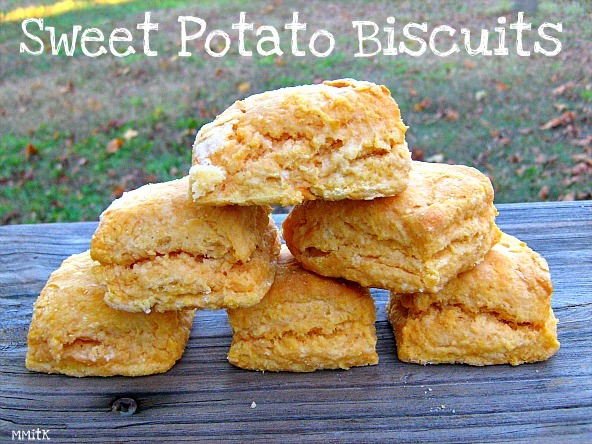 I've made Sweet Potato Biscuits before and they were good, but I never had much luck getting them to rise very high. I made a version of this soup (with adaptations) last night and had a bunch of sweet potato puree thawing in the fridge, so I decided to try a new recipe. 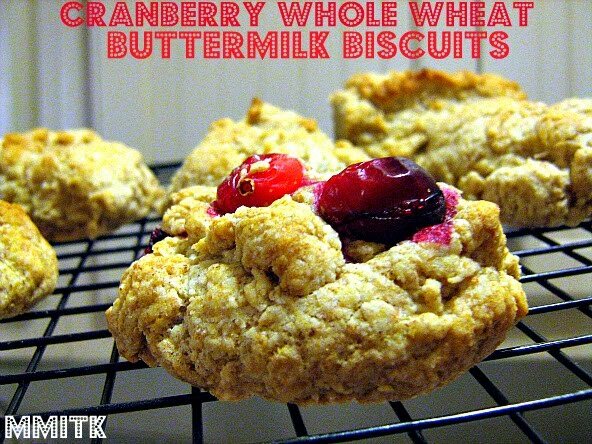 I used reduced fat buttermilk instead of skim milk, because I like the way buttermilk works in baked goods, especially biscuits. I wasn't sure what to expect, but these biscuits were light, fluffy and very delicious. I thought about adding some spices, like cinnamon or nutmeg, but since we were enjoying them with soup, I left them alone. Lightly spoon flour into dry measuring cups; level with a knife. 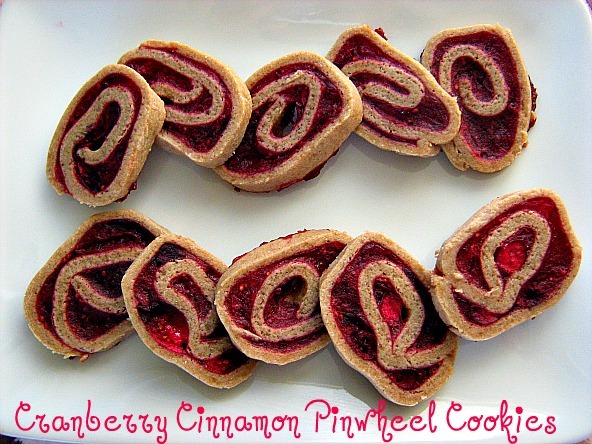 Combine flour, cornmeal, baking powder, and salt in a bowl; cut in butter with a pastry blender or 2 knives until mixture resembles coarse meal. 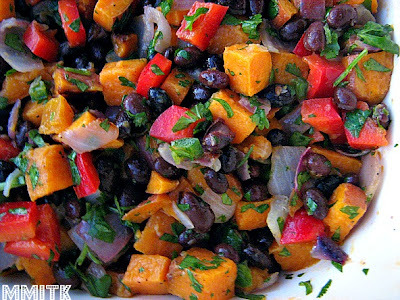 Add sweet potato, milk, and honey; stir just until moist. Turn dough out onto a heavily floured surface; knead lightly 5 times. Pat dough into a 9-inch square; cut into 16 squares. Place biscuits on a baking sheet. Bake at 400° for 20 minutes or until golden. Once again, I present horrible photos! Sorry about that. I kinda forgot about the time change and how it gets dark early and etc., etc. 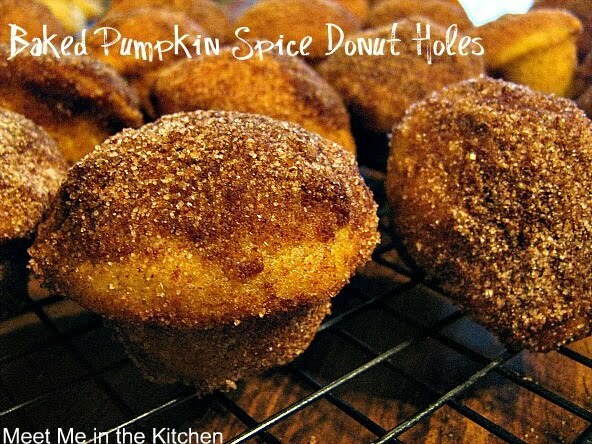 But, I wanted to share these 2 quick, easy and delicious pumpkin treats with you that we made this past Sunday for a family dinner. 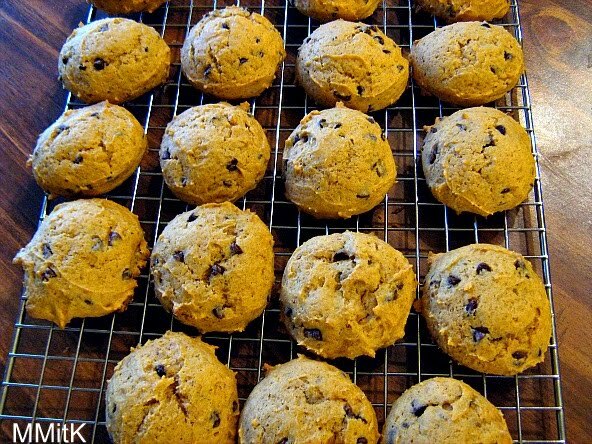 I wanted to make a soft pumpkin chocolate chip cookie and decided to give this recipe a try. I thought they turned out really great. My kids loved them too. I had 3/4 cup pumpkin puree left and didn't really feel like letting it sit in my fridge, so I quickly found another recipe that used exactly that much pumpkin. They aren't technically donuts, but a mini muffin that kind of tastes like a donut. 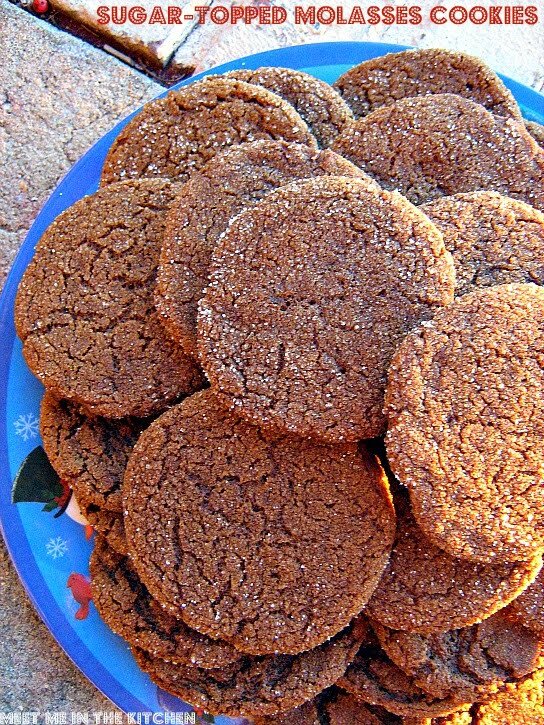 They are dipped in melted butter and then coated in cinnamon-sugar. Similar to the ones I made last year, but the ingredient list is a little different. There is a small problem with opening a huge can of pumpkin puree- You must make more and more yummy pumpkin treats! 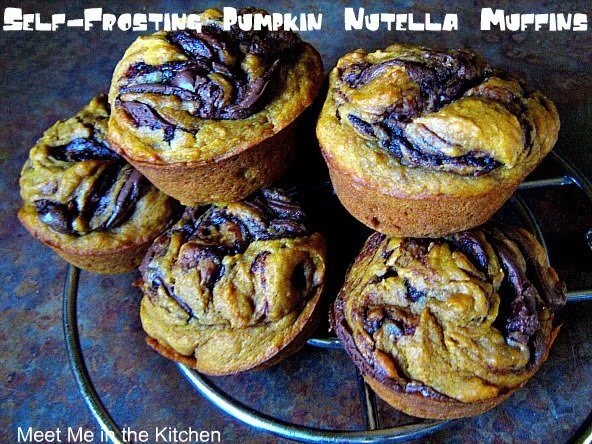 Of course, I am joking, but I found myself with some leftover pumpkin puree after I made parfaits and donuts and decided to make these muffins. I sent them to work with my husband and didn't even get to try a crumb. I had made this banana version a couple of weeks earlier and thought the pumpkin ones would be perfect for fall. 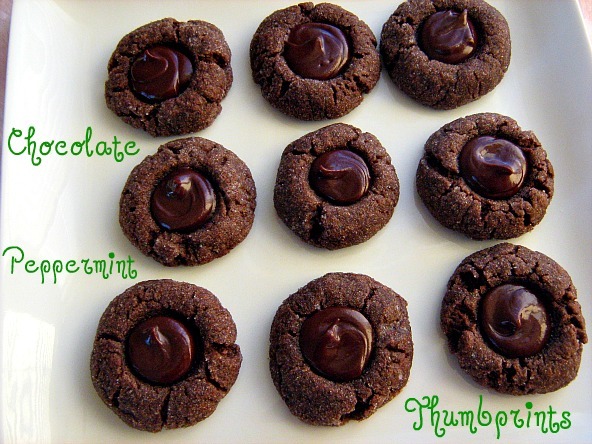 I had just 1/3 cup of pumpkin puree left, so I made this Chocolate Pumpkin Peanut Butter that I saw on Pinterest. Unfortunately, I didn't get a picture of it because it disappeared too quickly. But, I guess that could be a good thing since it just shows how delicious it was! Very good on whole wheat toast. I recently went through the 3-ring binders I have been collecting for 8 or 9 years, that are full of recipes. I would go through magazines and tear out recipes I wanted to try or recipes that I printed off the internet. I won't mention how many of these binders I have collected over the years, but needless to say, when I saw them all together, I was more than embarrassed! I decided to take a few recipes that I had forgotten about and try them. I found this in Parents magazine and it was supposed to be a side dish for Thanksgiving. 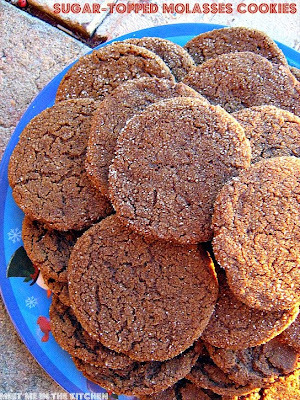 The link below has the original recipe, which I didn't really follow. The butternut squash was supposed to be cooked along with the lentils, but I like it better roasted in the oven. 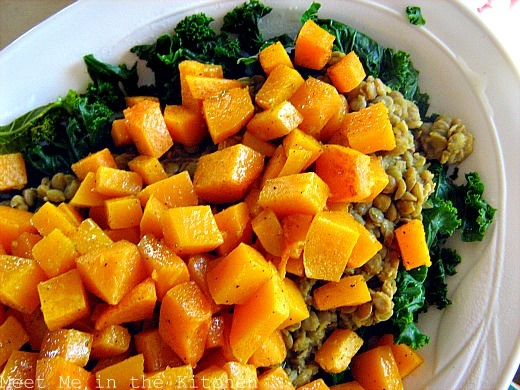 And I had some kale that needed to be used, so I sauteed that and made it a bed for the lentils and butternut squash! I finally got into my first can of pumpkin for the season and also used my donut pan for the first time. 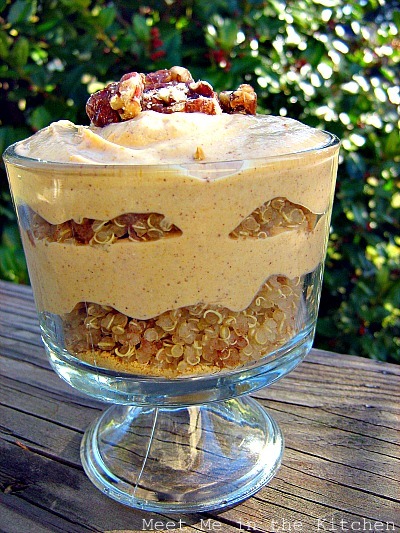 I had some cooked quinoa in the fridge and saw this fun idea for a Pumpkin Pie Quinoa Parfait. I've tried other recipes that use quinoa in a non-savory breakfast way and this was a great one. 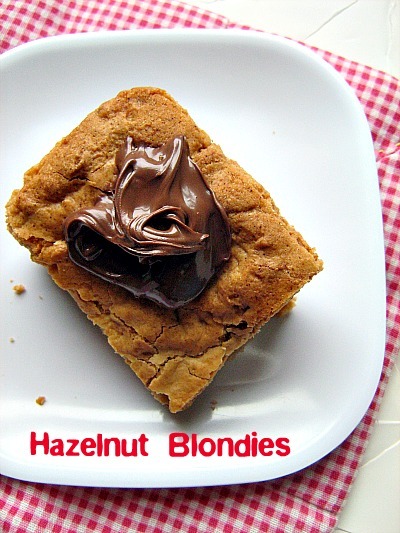 Very original and a great way to change up the humdrum of your normal breakfast, snack or dessert. 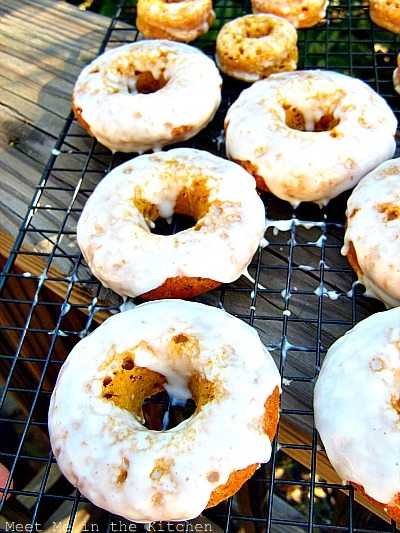 I also saw this recipe for Baked Pumpkin Donuts that uses melted ice cream in the batter. I had just the perfect amount of leftover vanilla ice cream in my freezer from a recent birthday and whipped these up just in time for my husband to take them to work with him in the morning. I didn't get to try one, but my kids really enjoyed the mini donuts! I saw this recipe for Baked Quinoa Patties on 101 Cookbooks and wrote it into my meal plan as soon as possible. Our family loves quinoa and this was a fun way to eat it. 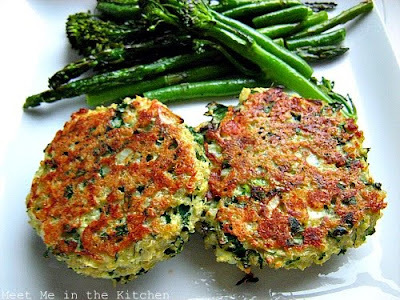 These patties have kale in them and some herbs which give the nice flecks of green. 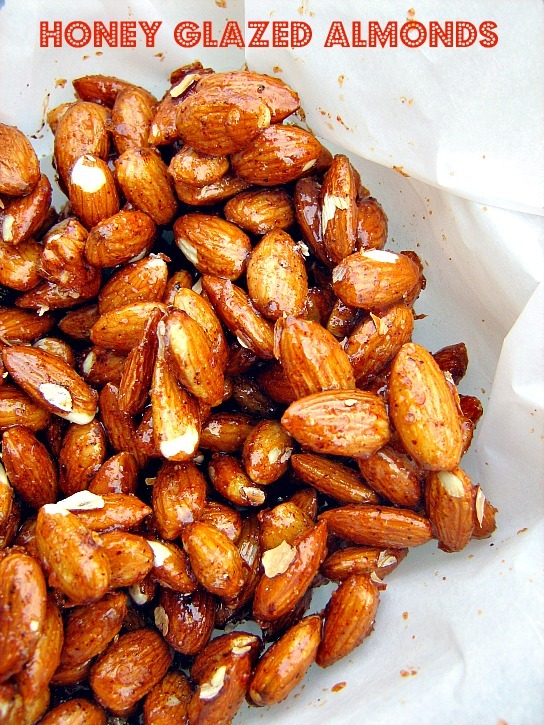 I love that these are baked in the oven and they still get nice and crispy. I roasted some broccolini, asparagus, and green beans in the oven also and we had a delicious dinner. For this month's Cooking Light Virtual Supper Club, Roz chose the theme of Late Autumn Harvest. Check out Val's post here to see the rest of the menu. October issue of Cooking Light. I have really grown to love fennel and it is delicious when roasted in the oven. 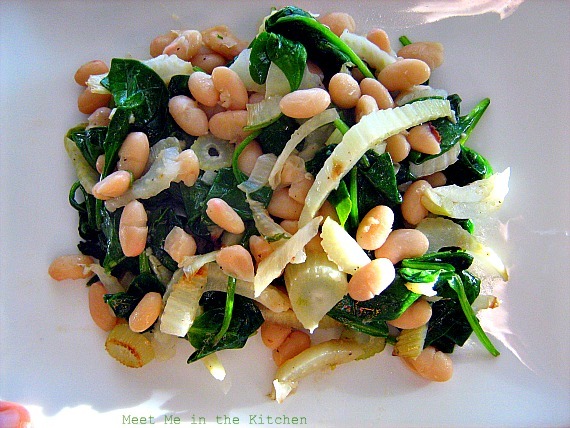 This recipe mixes roasted fennel with warm beans and wilted spinach. 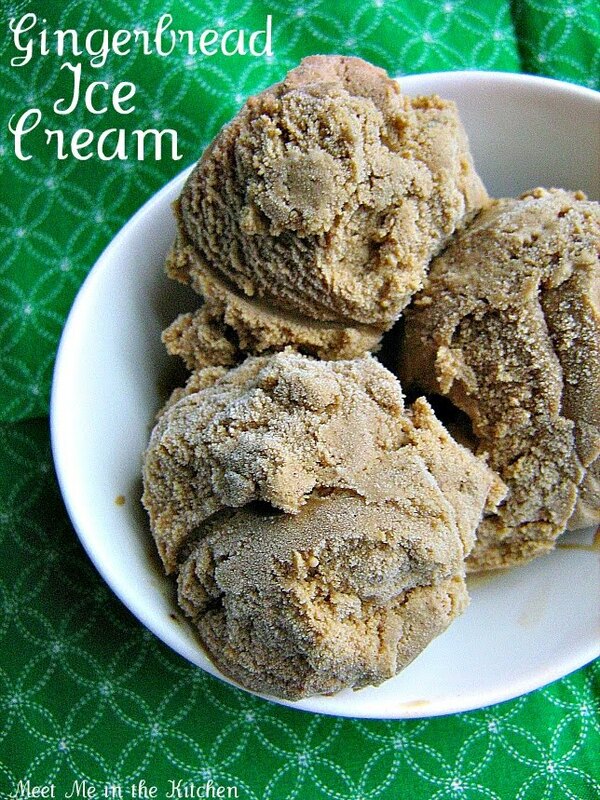 It is a very quick recipe to make and it is absolutely delicious. My kids loved it, especially the beans. Check out the rest of the menu and enjoy the Autumn Harvest! If you need a quick dinner idea for this busy weekend or any busy weekend, this is a great one. It has just a few steps and tastes fabulous. My kids absolutely loved it. I found a great deal on some wild caught fresh salmon and had some roasted red peppers in my fridge, so this dinner was a no-brainer. 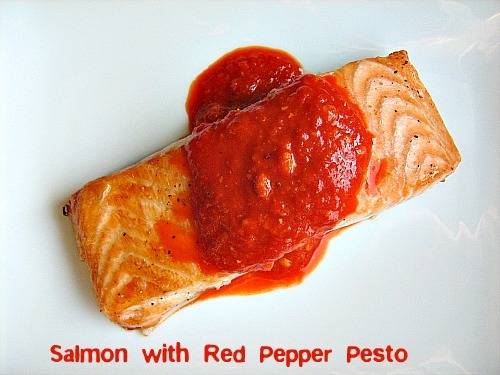 The salmon cooks up in no time and while it cooks, the sauce is blended quickly in the food processor. Fast and easy, but also delicious. 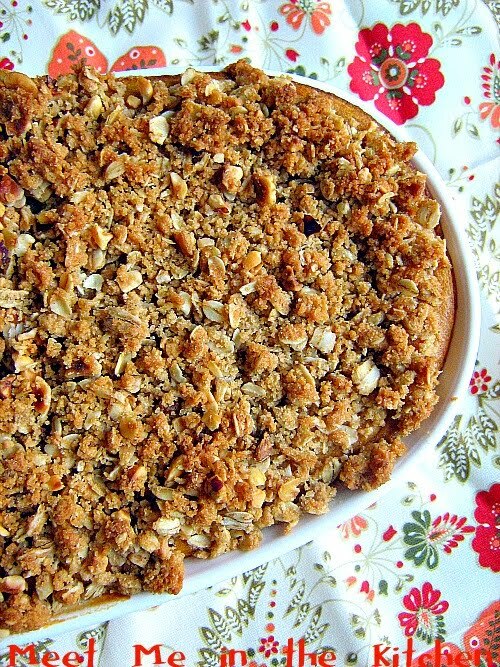 When my sister was visiting, we also made this Sweet Potato Pie with Hazelnut Streusel. I haven't ever made sweet potato pie before, but I figured this was a good recipe to start out with. My sister isn't a fan of pie crust and we were looking to save time, so we made it without the crust. It was easy and delicious. The streusel gave a nice crunch to the whole thing and we didn't miss the crust at all. Like I mentioned before, when my sister was here for a quick visit, we had huge sweet potatoes that we needed to use, so it was basically sweet potato weekend. 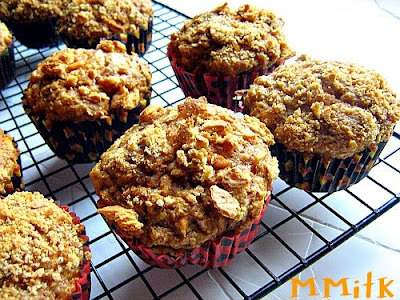 I had seen this muffin recipe from Whole Foods and thought it looked great. My sister was excited about it too, so on Sunday morning before church, we whipped them up. I made a few changes, mostly because I've discovered that with muffins, you can exchange most of the butter/oil for low-fat or nonfat buttermilk and still get a nice, moist, delicious muffin. I like muffins that are healthy tasting and not too sweet and that's exactly what these muffins were. Now, if you care about the taste of your graham crackers, I would use a brand that you think tastes great, as they are crushed up in the batter and also on top. This is no time for a cheap store brand (unless they taste amazing). My sister came to visit for a quick weekend trip and I told her to find some recipes that use sweet potatoes, because I had a couple of extra large ones that really needed to be dealt with. She emailed me the recipe for this soup and I thought it sounded pretty interesting. When she was here, we decided to make this for lunch on a rainy day. 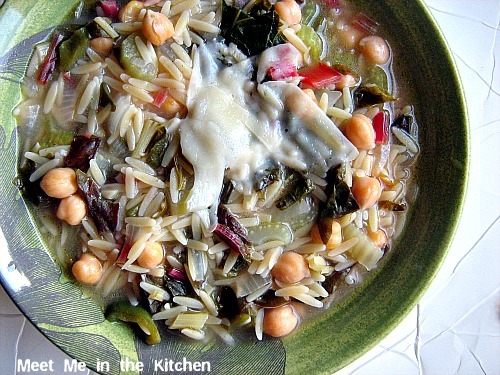 This soup is pretty easy to make, but as I was throwing it together, I was getting a little worried about the final product. V8, green chiles, sweet potatoes and peanut butter?? I was a tad bit hesitant to try it, but once I did, I realized that it was fabulous. It was spicy, creamy, and had great flavor from the sweet potatoes. As I was eating this, I realized that I no longer despise sweet potatoes. In fact, I can honestly now say that I like them. 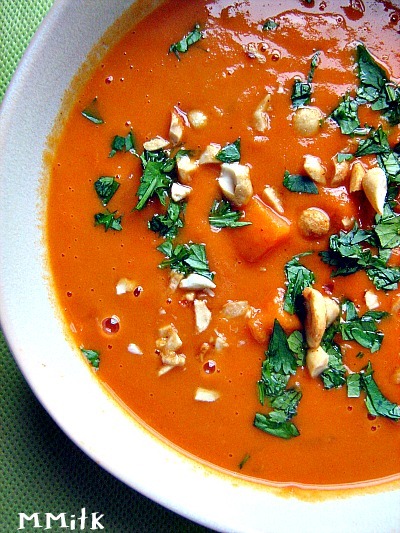 Thank you Sweet Potato-Peanut Bisque! Besides eggplant, I've still got swiss chard growing in my garden out back. It just keeps growing back and I am happy about that. I love being able to go out and cut my swiss chard when I need some for a recipe. I found this soup in a recent issue of Cooking Light and since it was a "superfast" meal, I knew it would be perfect to make on a night when my son has Cub Scouts. I added some green pepper (also from the garden) and used swiss chard instead of spinach. Quick and Easy! A couple of weeks ago, a friend asked me if I wanted to get together and make this lasagne with her. I thought that cooking together sounded like a blast, so I quickly agreed to come over later that week with all my supplies to put this lasagne together. I usually avoid recipes that have tons of cheese and milk, since we have some lactose intolerance issues with certain members of my family, but not this time. My friend had tried this recipe before and loved it. She said that lots of the comments on epicurious said it took forever to put together, but we didn't think it was so bad. I prepped my squash, herbs, nuts, cheese, etc., before I went to her house, so we just cooked the squash, made the sauce and then assembled the lasagne. It was so nice to have this made and waiting in the fridge, so that when dinner time rolled around, all I had to do was put it in the oven. This made a ton of lasagne! I know the recipe said that it serves 6, but in order for that to happen, someone would have to eat a ton of this. We did even eat half of it that night. 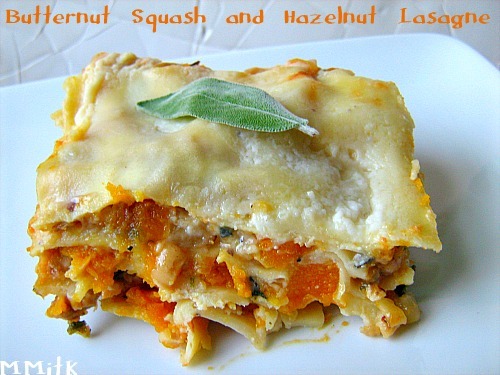 The butternut squash, sage and hazelnuts go perfectly with the cheese and sauce. All we had on the side was a huge salad of mixed baby greens and it was a filling meal. I ended up freezing the leftovers, so we could enjoy them later. My eggplant plant is still producing quite a few eggplants. A few weeks ago, I harvested 12 or so in one week and the next week I had about 10. That is a lot of eggplant. Even for someone who really likes it! I had to share some of it with friends, but I used most of it. 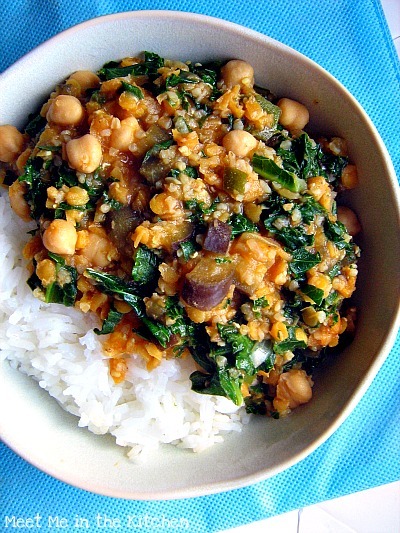 This recipe is something similar to what we eat on a regular basis. More often than not, I take a a look at what veggies I have on hand and pick a protein/whole grain to compliment it and then I make up something for dinner. I did kinda use a recipe as a base for this, but, like usual, I didn't really follow it. The result was delicious and very comforting.